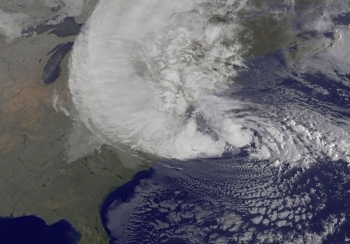 One year ago today, Sandy made landfall along the mid-Atlantic coast. The storm devastated communities, families, and businesses. While it’s natural to reflect on the tremendous damage the storm wrought, today also presents us with an opportunity to look toward the future. Before, during and immediately after the storm, the Department of Commerce provided information and data that helped save lives and property and get commerce flowing again. But our work hasn’t stopped and we continue to help in rebuilding efforts.